Welcome to our inaugural Opalesque Connecticut Roundtable! Connecticut is the the home of 17 of the world's top 100 single and multi-strategy hedge funds and has roughly 1/3 of the global hedge fund assets under management. Given the proximity to New York, it could be argued that over half of the world's hedge fund assets can be reached within an hour's drive. As a consequence, Connecticut is also the base for some of the world's most sophisticated hedge fund-of-funds and hedge fund advisers. Many of the participants are very confident about the growth prospects of the hedge fund industry. There have been views that with the continued institutionalization, we could even witness the emergence of some major complexes with assets in the order of $50-100 billion AUM. What are the latest technological developments for manage account users? What strategies are attractive at the moment? What alternatives are there to directional risk? How do hedge fund managers play the gold theme? What regulatory changes are coming, and which will be the important ones? 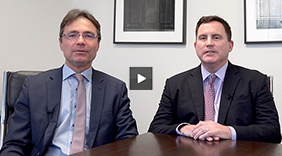 How do U.S. based managers and FoFs view the option of taking a hedge fund public? Did you know that you can now build a hedge fund portfolio with a growing pool of registered U.S. mutual funds? ...see for yourself what else is new in the world of hedge funds!